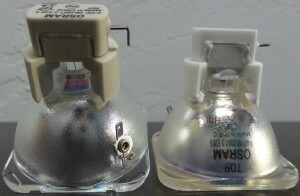 Learn more about the dangers of counterfeit DLP Television lamps and Front Projector lamps. Find out why buying your projector lamp from a trusted reseller or distributor can prevent damage to your television or projector. Stay up to date on counterfeit news and developments.